In January 2010, Baywatch highlighted how Pattaya spent 37 million baht on 74 touch-screen tourist-information kiosks that didn’t work. 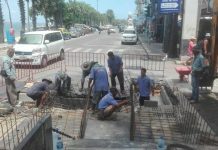 Instead of fixing the terminals, the city simply dumped a third of them in the Pattaya City Hall parking lot. Operated through a joint venture with Sean Intensis JV Ltd., the devices never actually became fully operational. They were eventually reprogrammed to become simple Internet-access kiosks where, presumably, tourists could search for their own Pattaya information. But, as we showed, some simply went out of service, never to return. 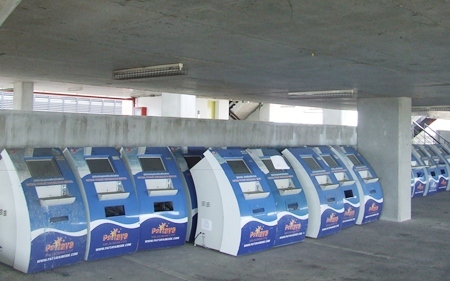 Now, 23 of the kiosks sit dirty and battered in the outside parking lot. Where are the others? Those connected to Sean Intensis obviously got rich off yet another boondoggle city project. But the city’s residents got a little bit poorer and tourists got even less service from the local government.